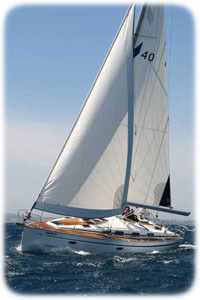 We provide a sailing yacht Bavaria 40 cruiser built in 2009, equipped for any kind of sailing, even in winter. Our base is in Grado, a small town between Venice and Trieste. It can be easily reached by car, train or plane, and it is situated only a few miles from the best destinations in the North Adriatic Sea, in Italy, Slovenia, Croatia. If required skipper and/or hostess are available.